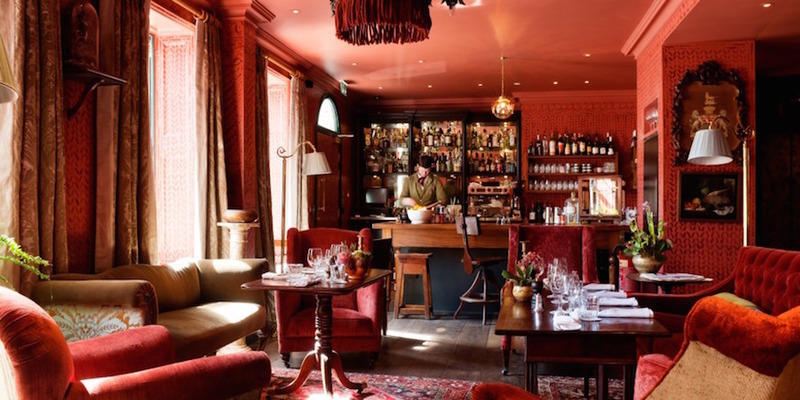 The vibe at Zetter Townhouses Marylebone and Clerkenwell is gentleman’s lounge and Victorian parlour respectively, so expect lots of lavishly upholstered furnishings, red velvet, tassels and curiosities such as (fake) stuffed cats dressed in Victorian skirts. The cocktails are some of the best in London, made with the best spirits and lots of lovely mixers and tonics, almost all of which are made in-house. If you go, make sure to order some of the chocolate fudge, which is easily the best we’ve eaten; so luxurious it’s borderline obscene. Dense and rich, it contains at least a pint of double cream per square inch (possibly). Zetter Townhouse Clerkenwell, 49-50 St John's Square, EC1V 4JJ. Zetter Townhouse Marylebone, 28-30 Seymour Street, W1H 7JB. This is still the poshest basket of fried chicken in London, and one of the most famous snacks. The nuggets of chicken are brined in buttermilk for 24 hours then coated in a polenta crust and fried until crisp. The real deal sealer is the pine salt, which is sea salt infused with the flavour of ground pine needles – such a lovely idea and one which continues to entrance London’s diners. Buttermilk fried chicken alongside radishes at The Clove Club. 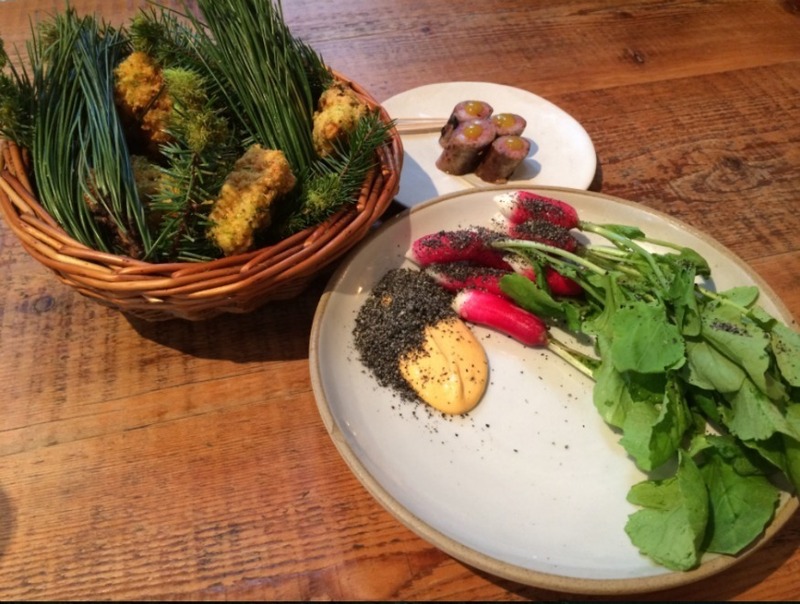 Photo: Samphire & Salsify. Caviar is a posh snack at any time, anywhere. It can never be more than a snack, either, due to the fact that it is very expensive and will never fill you up, even if you smash through 20 blini. The Rivoli Bar at The Ritz is as glamorous as the rest of the hotel, with lots of shiny wood veneer, leopard print upholstery and flattering lighting. The caviar comes on a marvellous presentation tray with, should you want it, very cold vodka. 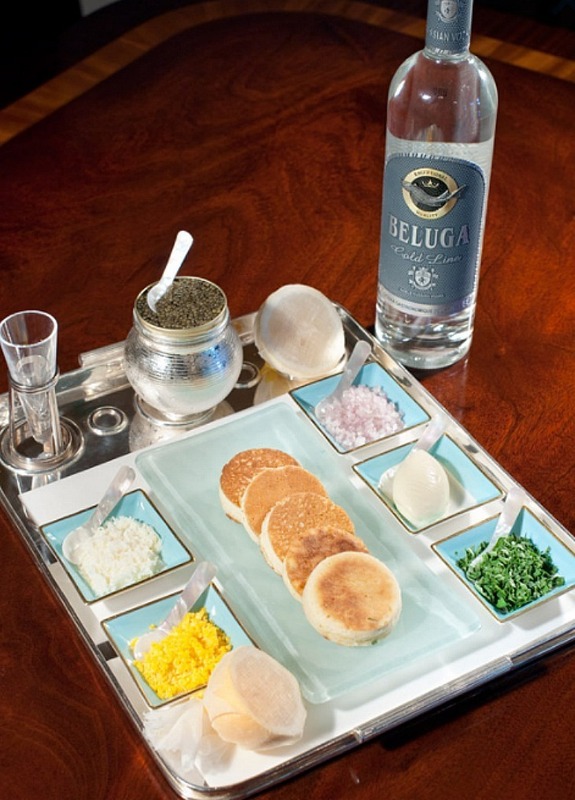 It’s up to you to pile your blini high with those stunning, salty eggs and top with the accoutrements provided. Sour cream is essential, but will you add shallot or minced egg yolk? The Library Bar at The Lanesborough also does a nice line in caviar, FYI, with 30g of beluga on the menu at £400. Bargain. Caviar at the Rivoli Bar. We’ll forgive you for asking the question, ‘what is so exciting about nuts?’ Well, these happen to be the most addictive bar nuts of all time, thanks to their spiced caramel crust. There’s just something about the way these nuts are presented that tells you no, they have not been pawed and prodded by three people previously but are dispensed in individual, personal portions. They have also been very carefully coated in their glorious glossy outerwear, all spice and rich dark sugar. You’ll finish the bowl then beg the barman for another. Beaufort Bar at The Savoy. There’s something about salted caramel that still screams luxury despite it being pretty much everywhere nowadays. 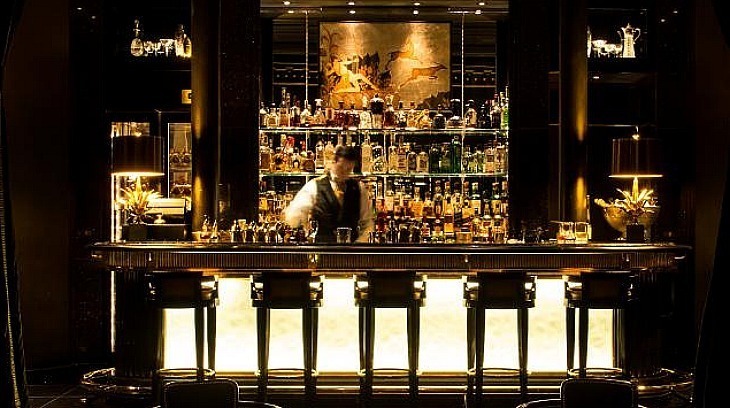 The Beaufort Bar at The Savoy has a sultry vibe with lots of shimmering gold and black, plus beautiful art deco features. Perch, people-watch and sip while contemplating which of the sweet treats to order from the bar menu. This remains our favourite: a glorious puff of cream and sweet-savoury caramel. The idea of a savoury doughnut may sound odd but really without the sugar, it’s just fried dough that’s ready to be flavoured with anything delicious – like crab. These puffs are filled with a mixture of white crab meat and crème Fraiche meaning they’re light as anything and incredibly moreish. They arrive dusted with what looks like snow but is actually cauliflower – just try one and you’ll be hooked.